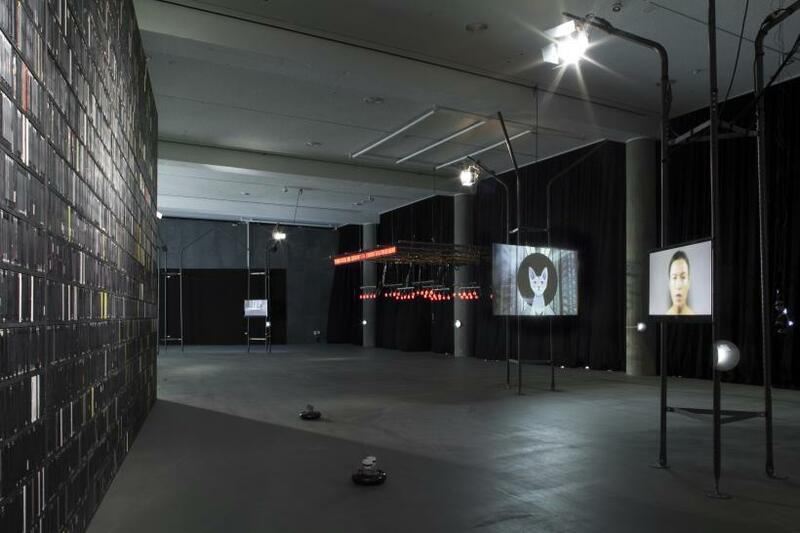 Title : alien matter, installation view at Haus der Kulturen der Welt, 2017. In the last fifteen years, artificial intelligence has shifted from the niche world of computer science to be assimilated into public consciousness as the subject of much fascination. It is a rich ground for research in many fields, from engineering to medicine, economy and urbanism. AI has the advantage of existing beyond the contingencies of the physical and is able to develop its own evolution via an information network that continually feeds it. However, its best promise is also the source of its menace. If artificial intelligence is an evolving technology gaining autonomy, the question of accountability becomes increasingly intricate. On a cultural level, AI takes root in a historical divide between the mind and body in western philosophy. While AI is often described as immaterial, it nevertheless exists within the confines of material objects. This rapid technological development in the field of computer science also makes it difficult for some technology to communicate with its offspring, as the life span of these objects is often short-lived. 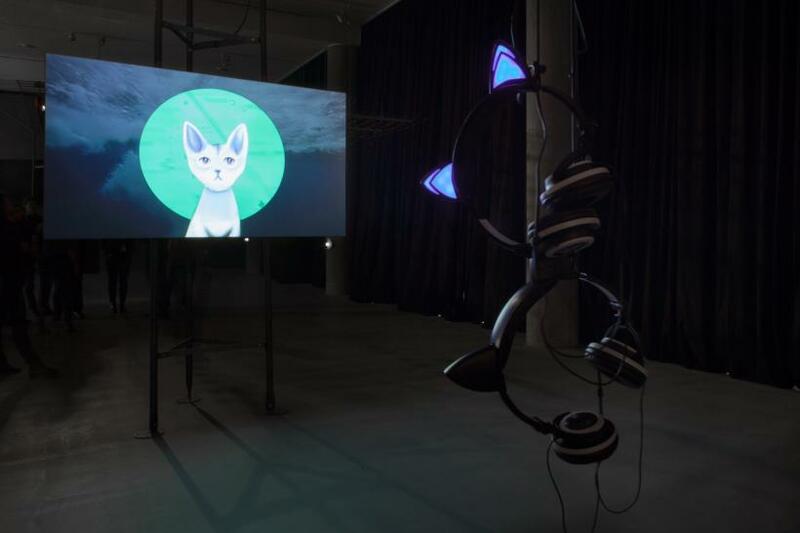 In an attempt to tackle the immensity of this shift in paradigms of existence, Inke Arns presented ‘alien matter’ as part of the 2017 Berlin Transmediale Festival, which has been examining the collide of culture, art and technology for the past thirty years. 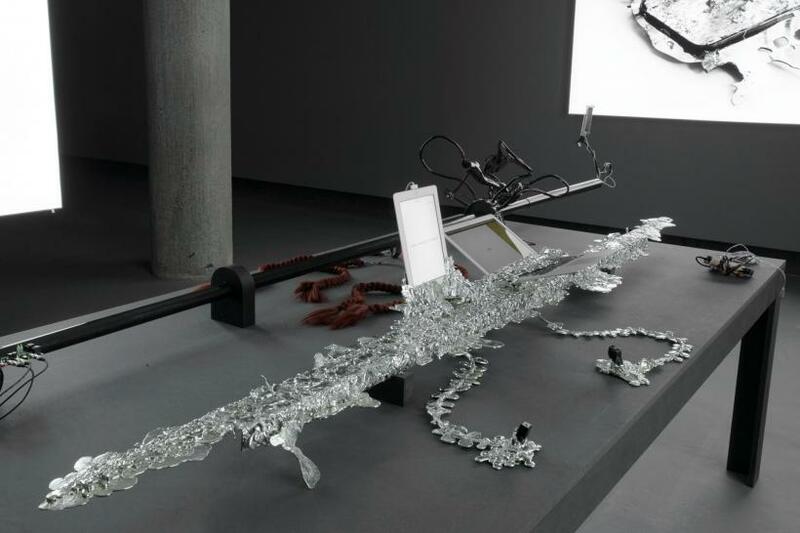 The exhibition aims to examine new relationships between man and machine through the work of thirty artists brought together around four thematic focal points: artificial intelligence, plastics, infrastructure and the internet of things. Upon entering the large exhibition space of the Haus der Kulturen der Welt, visitors were offered an elevated view of what awaited them. 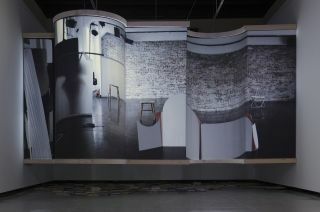 At the foot of the stairway, the video portion of Mark Leckey’s GreenScreenRefrigeratorAction illuminated the dimly lit space. It tells the story of a large commercial black Samsung refrigerator that attempts self-determination through a monologue narrated by the distorted voice of the artist. 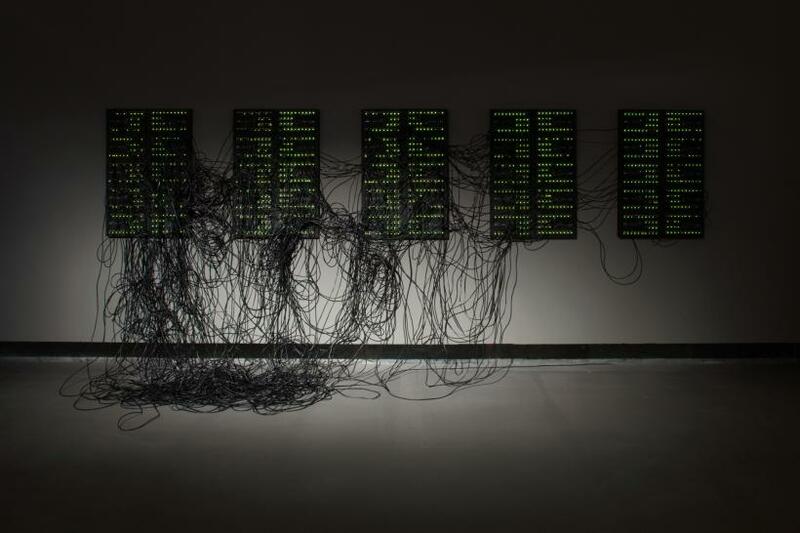 Using its Internet connection, the large monolithic black box scans the web in search of objects resembling it, looking for a ‘friend’. The work attempts to humanise so-called smart technologies while simultaneously underlining the absurdity of a ‘smart’ refrigerator. 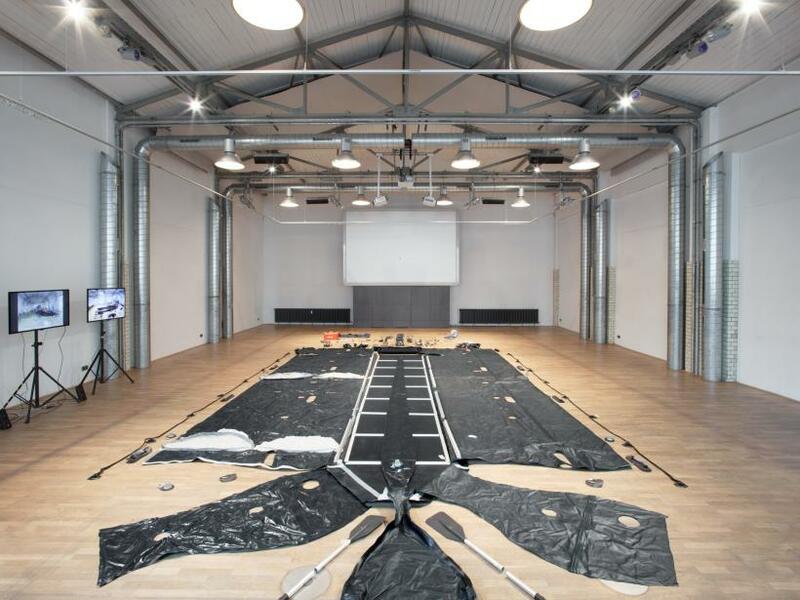 The physicality of technology was a recurring theme throughout the exhibition. 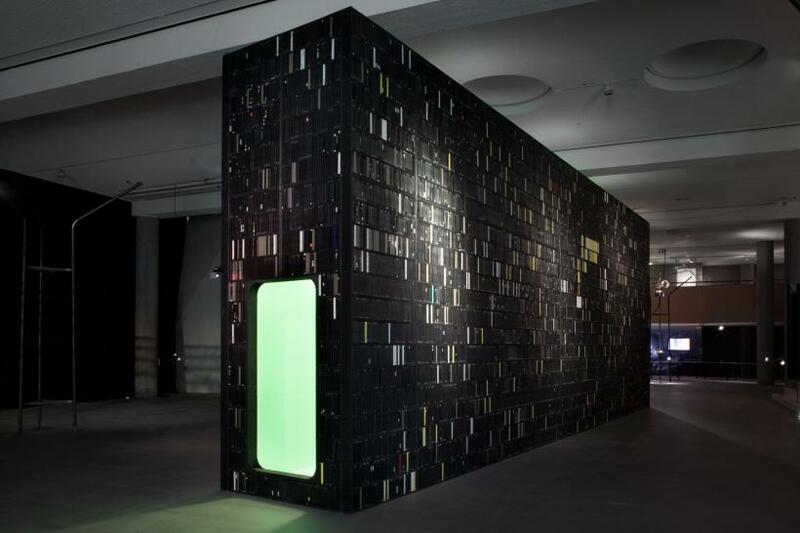 Joep van Liefland’s Video Palace #44 – The Hidden Universe, a colossal plastic megalith composed of hundreds of VHS tapes, stood at the centre of the room. 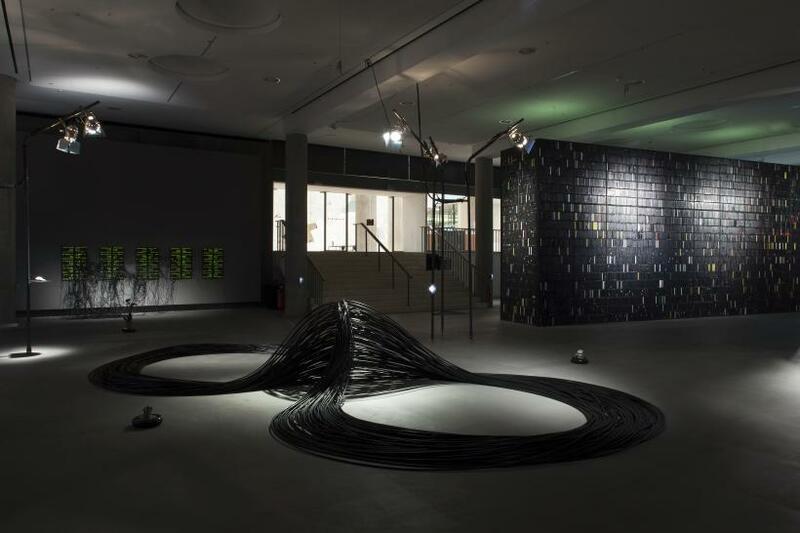 The work recalls a mausoleum to a now-dead technology, likening the tapes to skulls, an anonymous support stripped from its individuality and annihilated. 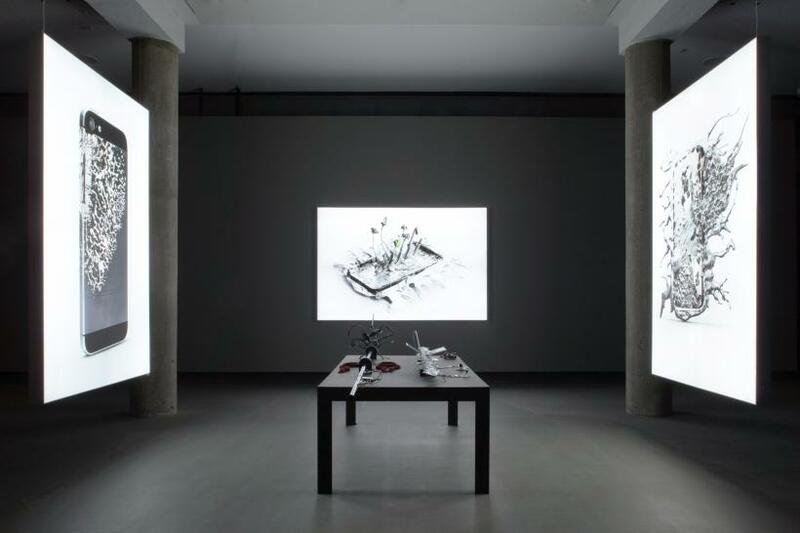 A few meters away, visitors were invited to engage via smart phone with DullDream, an AI recognition programme that misinterprets and reduces images to a simplified combination of shapes and colour. The work addresses the use of biometrics and Convolutional Neutral Networks (CNN) that allow machine learning and pattern recognition. These new tools are exploited by the corporate web, notably Google’s Deep Dream, a programme that identifies elements of an image to intensify them, highlighting the ‘apple-ness’ of the apple, the ‘tree-ness’ of a tree, and so on. DullDream is a disruptive tool that goes against the grain. In a panel titled ‘Dulling Down’ the duo behind DullDream, Constant Dullaart and Adam Harvey, accompanied by writer and researcher Nora N. Khan, provided much insight into the development of artificial intelligence, which mostly advances at the profit of corporate interests. They questioned new forms of intelligence and surveillance and proposed a ‘dulling down’ of artificial intelligence as a persuasive intervention strategy. Ignas Krunglevičius’ Hard Body Trade offered a nice complement to Dulldream. 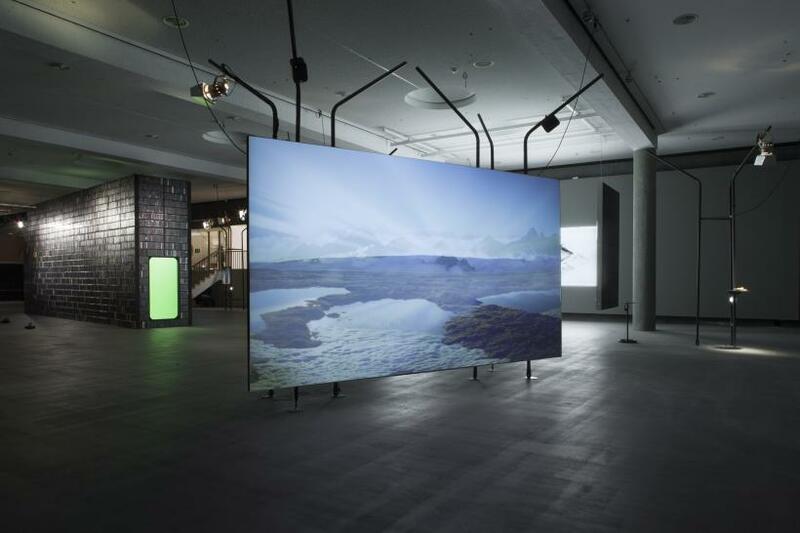 The video presented picturesque images of mountains with an overlaid computer-generated voice. Visitors eventually realise a disjunction - that the associations between the soundtrack and the images are completely random. 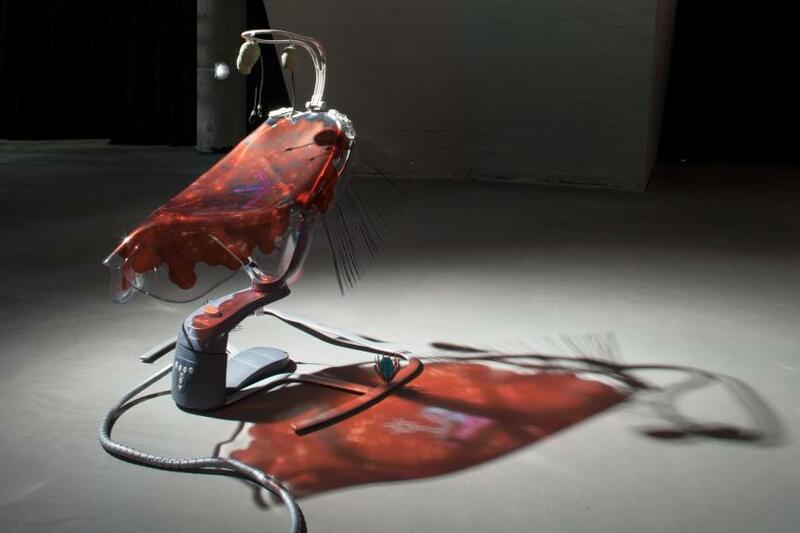 The machine tricks the viewer into making the work in its place. 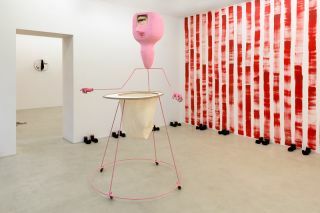 In this way, Hard Body Trade is representational of the whole exhibition in that it requires the viewer to invest in it to retrieve something revelatory. 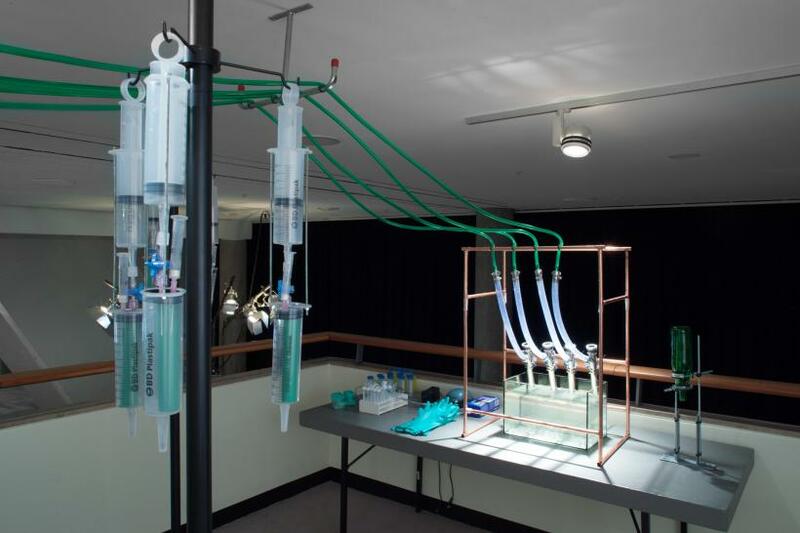 In that way, the exhibition is ambitious for the expense of energy and time it demands. 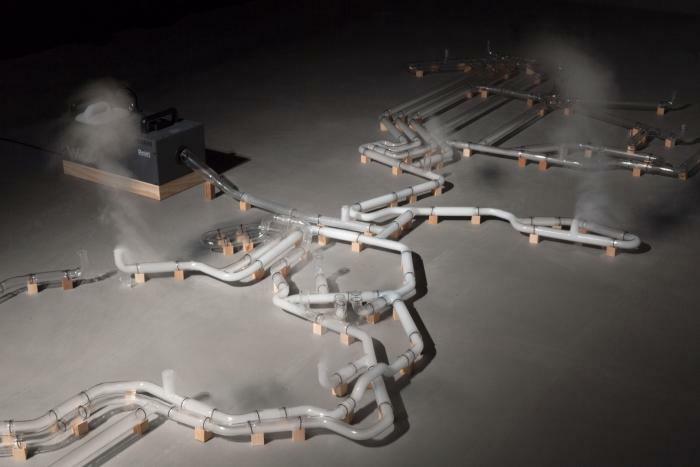 The dissonant array of voices amongst the works risks making the exhibition incoherent. 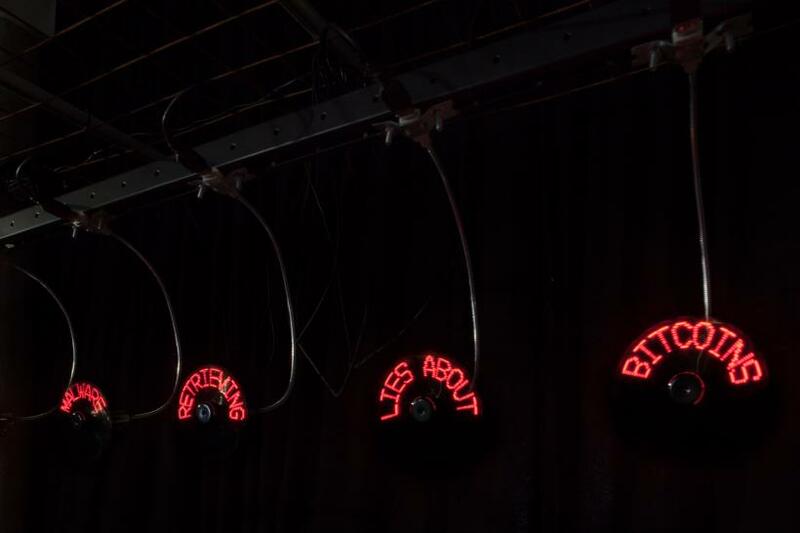 Some of the politically charged works might lose their potency when presented alongside other pieces cultivating a different registry and presenting intelligence, not so much as a threat, but as a joke. Yet this is only indicative of the unresolved posture of artificial intelligence in public consciousness – as both an entertaining commodity and threatening entity. 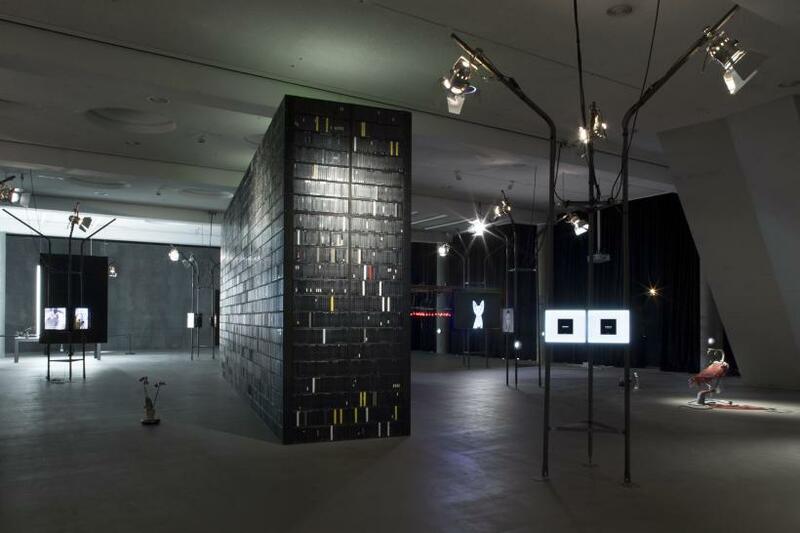 However, this plurality does make the exhibition difficult to digest in one visit, and it is best to consider ‘alien matter’ as an object of knowledge to be tackled bit by bit in numerous forays. This is a curatorial risk on the part of Arns. But for the committed visitor her well-informed selection is undeniably pertinent to contemporary discourses surrounding art and technology.